For many of my fellow magic & Houdini fans, our initial exposure to the are was through a movie by actor Tony Curtis called simply, HOUDINI. Though, the actual Harry Houdini died back in 1926, the loss of Mr. Curtis in 2010 was truly like loosing Houdini all over again. Tony's real name was Bernard Schwartz and he was born on June 3, 1925. His parents were from Hungary and I can't help but wonder how interesting it would have been if the real Houdini had bumped into or even known the Schwartz family at some point. Tony got into acting after a stint in the Navy during WWII. He made many classic movies, among them: Some Like It Hot with Jack Lemmon and Marilyn Monroe, Spartacus with Kirk Douglas, and of course my favorite HOUDINI which he made in 1953 with his wife Janet Leigh. 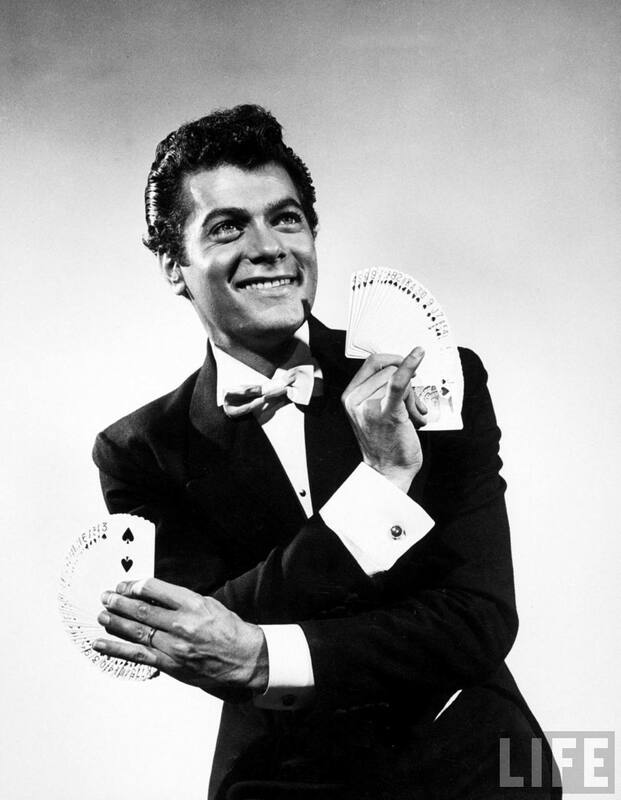 Tony retained an interest in magic after making the fictional movie on Houdini's life. 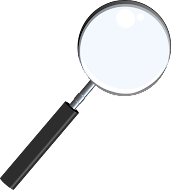 He appeared on a number of TV Magic Specials, among them NBC's Stars of Magic in which he performed a Costume Trunk Illusion, HBO World's Greatest Escape Artist in which he was the host, and I believe he also did some hosting work with Dean Gunnarson during an underwater escape performed by Gunnarson. 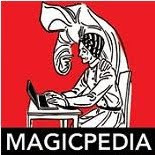 About a year or so before he passed away, Tony did an interview with Dodd Vickers of The Magic Newswire which can be heard here. 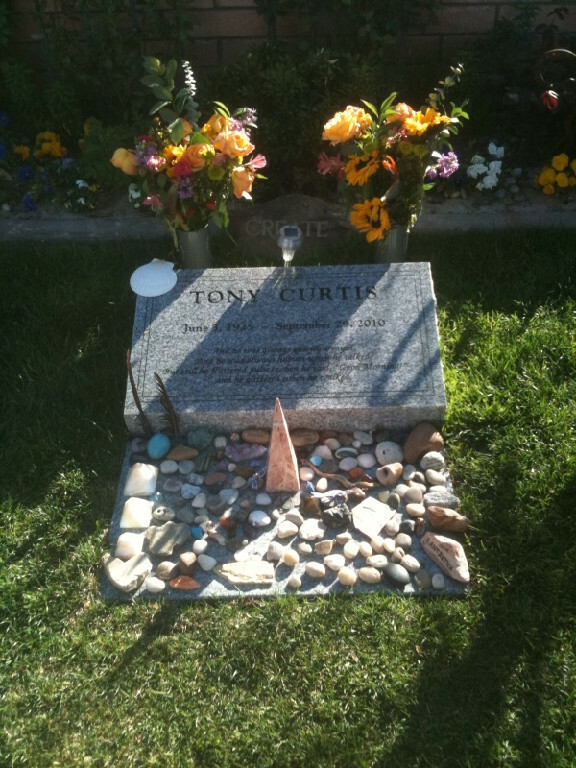 If you cannot be there in person and wish to show your respect, you are welcome to mail a small stone. 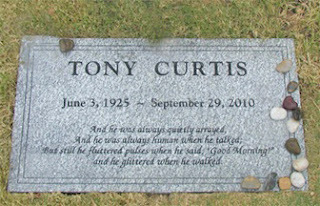 Your stone will be personally placed on Tony's marker by his wife, Jill. In the Jewish Faith, stones are placed to show that someone visited and that their love is as enduring as a rock. I never knew that he had an actual interest in magic after making the film. Always thought it was cool though the way Curtis and Houdini pretty much came from the same place, culturally. 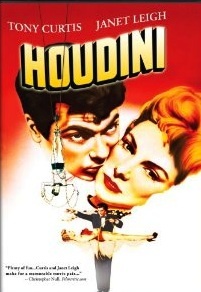 Funnily enough, this post appears the day I finally acquire a copy of the 1953 Houdini film. It's magic! I actually learned the back palm card technique from Tony. He was on the old Mike Douglas show demonstrating it, and that was the first time I'd ever seen it. Tony was also a presenter at the Academy of Magical Arts award shows on several occasions.